Currently we have, next to the Generalate, five communities in The Netherlands and Belgium. That is a lot less than in the past because, due to the decrease in number of brothers, many communities had to be closed. However, we did not just leave our houses or hand them over to others; fortunately we could also open some new communities. Indeed, we quite conscientiously want to continue building up religious life in these parts of the world. Next to the administrative center of the congregation (the Generalate) is the residential care facility which is named after our founder. 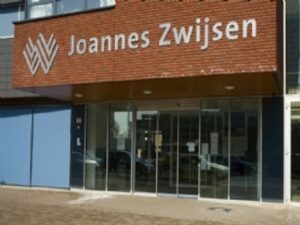 Among other functions, it offers shelter to the Joannes Zwijsen community, in which our elderly brothers are living and – if needed – receive nursing care. 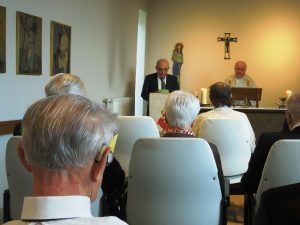 The communities of the Generalate and of Joannes Zwijsen have been built on ‘holy ground’ since in the past this was the location of the mother house of the Brothers CMM. Indeed, it was there that in 1844 the congregation was started, and from where many of our apostolic activities were launched. 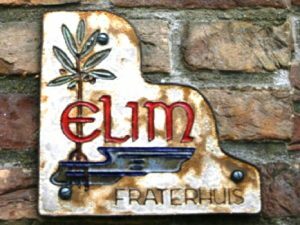 Located in Tilburg-West is the Elim Community: Elim being the biblical name of an oasis in the desert. Similarly, the Elim in Tilburg wants to be a halfway house in the city where people are given some breathing space and can tap new spiritual sources. Every Tuesday and Wednesday people can drop in for a lunch. Whoever feels like sharing a meal with others, known or unknown, just walks in at around 12.15 hours. The brothers hope in this way to give attention to people who feel lonely and have the need of some contact. The Elim community also organizes meditations, movie evenings and workshops. 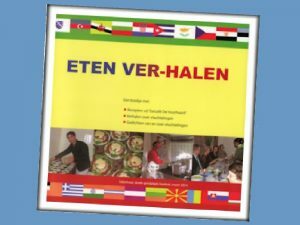 On the website of the Elim group you can find an overview of the programme (in Dutch): www.elimgroep.nl. The name ‘Eleousa’ is derived from a Greek word which means: the merciful one. The members of the Eleousa Community are, among other things, intimately involved in the activities of the retreat and formation center ‘ZIN’, which is located next to it. They also support the Dutch Movement of Mercy whose secretariat is located in the community. 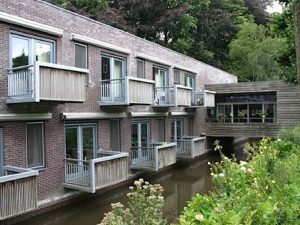 Retreat center ZIN originated from the desire of the Brothers CMM to give their brother house ‘Huize Steenwijk’ in Vught a new destination, appropriate to their spiritual tradition. They saw that in the Netherlands there was a real gap in the relationship between work, meaning of life and spirituality. The retreat center has become an inspirational place where people talk about the personal and social significance of work. In addition, the retreat center is reserved each summer for two weeks for families who do not have the financial means to go on vacation. The brothers of the Eleousa community organize together with volunteers a four day program for them with various activities. The first community of the Brothers CMM in Belgium was founded in 1851 in Maaseik, followed by the communities in Hasselt, Houthalen, Lanaken and Zonhoven. Since 2012, due to the decreasing number of brothers, the brothers in Belgium fall directly under the General Board. In 2013, the last Belgian brothers moved to the nursing home ‘Het Dorpvelt’ in Zonhoven. This center was built in the garden of their old brother house, where the community St. Jan Berchmans was established.